Personalise with your company name or logo on the front, as a self adhesive sticker. Bulk discounts available. Hard Hats offer high levels of impact protection and help to protect your head from injury due to falling objects, debris, impact with other objects, electric shock, adverse weather conditions and when working in areas of restricted head space. Hard Hats are an essential part of PPE and head protection is required in a variety of industries including the construction, manufacturing and engineering industries. 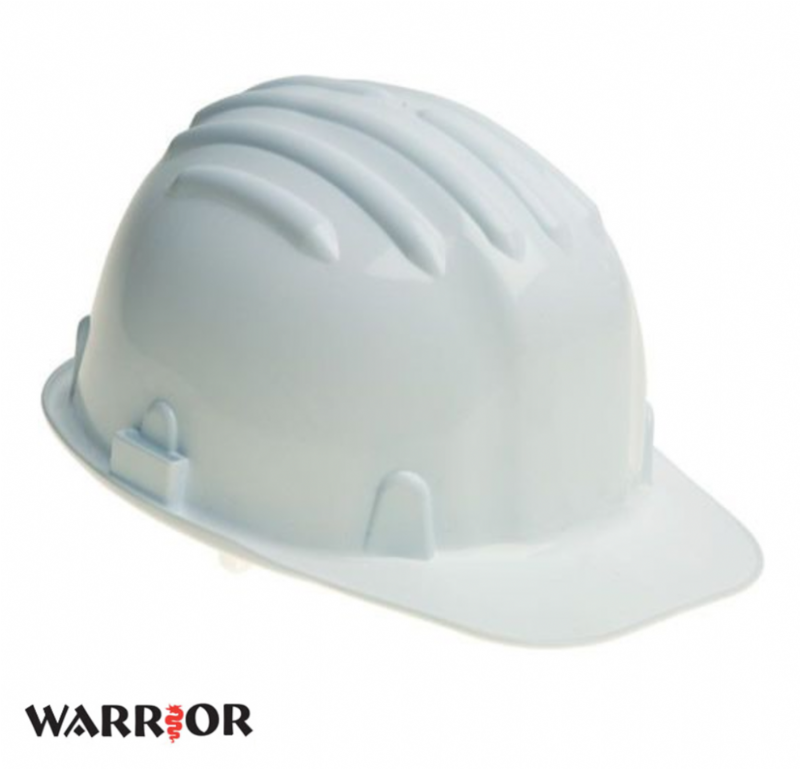 At Bath Signs Digital we supply low cost, economical Warrior Hard Hats. These hard hats conform to EN397 Safety Standards and are available in a range of different colours. All prices include printing your company name or logo, as a self adhesive sticker, onto the front section of the hard hat. We can also print onto Hard Hats that you supply. Please note coloured hard hats are subject to availability and a minimum order charge may apply. New Hard Hat colour standards have been launched in a bid to develop best practice and communication in construction projects across the UK. Standards are to be implemented on all new construction sites, and existing construction sites where practicable.